Journalism + Design at The New School is an undergraduate program that combines the rigorous critical thinking of Eugene Lang College with the creative design processes of Parsons School of Design. Students learn serious reporting, visual literacy, community engagement, and digital design, as well as how to develop the imagination, agility, and creative confidence necessary to thrive in today’s media ecosystem. Our instructors are well-respected innovators from the fields of both journalism and design who ground students in the fundamentals of journalism while pushing them to explore its boundaries. Andrew Meier is an assistant professor of journalism at Eugene Lang College, The New School for Liberal Arts. He has worked as a professional journalist for two decades, beginning as a stringer in Moscow during the last years of the USSR. He spent a year reporting from the war zones of the former Soviet lands and Afghanistan before moving to Moscow as a staff correspondent for TIME. He is the author of two books of nonfiction, Black Earth and The Lost Spy, both published by W.W. Norton. He is currently working on a fourth book. 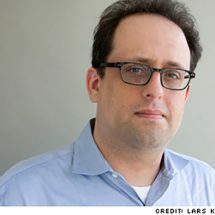 Andrew also writes on U.S. and foreign affairs for publications including Harper’s, National Geographic, The New Republic, The New York Times Magazine, The New York Times Book Review, Orion, Outside, The Washington Post, and Wired. 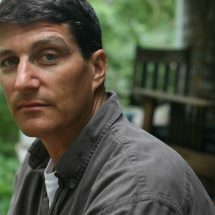 He has appeared as a commentator on the BBC, CNN, and NPR, and has reported and written for PBS documentaries. 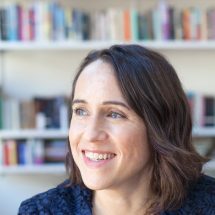 Heather Chaplin is the founding director of Journalism + Design and the recipient of multiple media innovation grants from foundations including The Knight Foundation and The Democracy Fund. In 2015, Chaplin was a fellow at the Tow Center for Digital Journalism at Columbia University. She has also written a paper for the Woodrow Wilson International Center for Scholars. Before joining The New School, Chaplin covered video games and digital culture for All Things Considered, as well publications such as as The New York Times, The LA Times, GQ and Details. She is the co-author of Smartbomb: The Quest for Art, Entertainment and Big Bucks and the forthcoming Reckless Years: A Diary of Love and Madness out from Simon & Schuster in July 2017. Allison Lichter previously served as Deputy Emerging Media editor at The Wall Street Journal, where she was responsible for audience engagement, social journalism, and developing content for emerging digital platforms. Prior to joining the WSJ, Allison was the Culture Editor at New York Public Radio, the country's largest NPR affiliate, were she oversaw a team of producers, reporters and critics on the arts and culture beat. 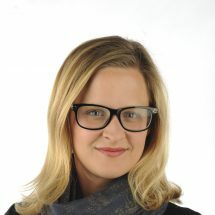 Allison's work has appeared in The Wall Street Journal and on WNYC, PRI's The World, the CBC and NPR. She was the recipient of an SSRC International Predissertation Fellowship to support her doctoral research in Dakar, Senegal. 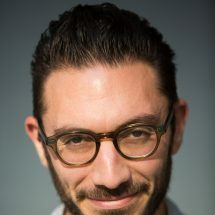 Blake Eskin is a writer, editor, and producer. He was the first web editor for The New Yorker and the host of The New Yorker Out Loud podcast. His book, A Life in Pieces: The Making and Unmaking of Binjamin Wilkomirski, was a 2002 New York Times notable book. 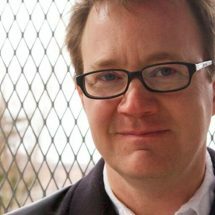 He is executive producer of two podcasts for Design Observer, including The Design of Business | The Business of Design, recorded at the Yale School of Management. Kia Gregory has worked at The New York Times, The Philadelphia Inquirer, and Philadelphia Weekly, and she has written for The Atlantic, The New Republic, and The New Yorker, covering issues around education, criminal justice and economic development. She has received awards for her enterprise reporting and writing from the Society of Professional Journalists and the National Association of Black Journalists, and is a proud alumna of Temple University. 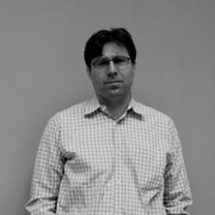 Andrew Losowsky is currently working on a new mobile news platform for News Corp and has written for publications such as The Guardian, The Wall Street Journal, The Times of London and The Big Issue. 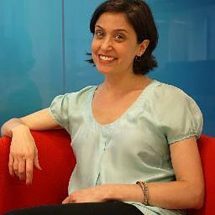 In 2001, Losowsky was one of six New Journalists of the Year in the UK, and has worked on online publications since 1998. He also spent a year as a John S. Knight Journalism Fellow at Stanford University, where he researched future trends in journalism and technology. 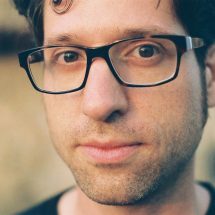 Scott Klein is the Assistant Managing Editor at ProPublica, where he directs a team of journalist/programmers in building large interactive software projects that tell journalistic stories. He is also co-founder of DocumentCloud, a two-time recipient of the Knight News Challenge. DocumentCloud is a service that helps news organizations search, manage, and present their source documents. 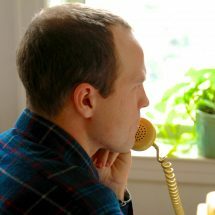 Jake Price is the director of the award-winning and POV-funded Invisible Season and Unknown Spring, which chronicle residents’ lives in Fukushima and in northern Japan following the meltdown and tsunami of 2011. He worked as a freelance producer for the BBC for over 15 years, producing multi-media pieces for BBC In Pictures. His immersive media appears in The New York Times, TIME, The New Yorker, Rolling Stone, Orion Magazine, Newsweek, Le Monde II and others throughout the world. 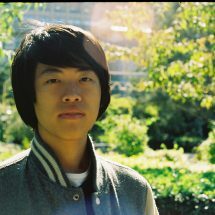 Francis Tseng is a developer and interaction designer with an interest in behavioral design and engineering human systems. His software and design explorations are driven by a desire to understand people and how we interact with the diverse and complex systems that surround us. His past works include Argos, an automated system based around generating context for news, various social media bots, cultural/meme-based steganography, and other projects for IDEO. 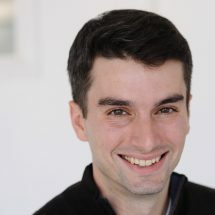 Matt Diaz is a User Experience Researcher at Facebook. 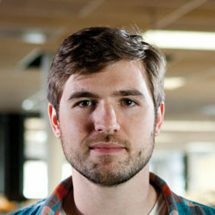 He was previously a User Experience Research Lead at The New York Times, where he worked on projects across their digital portfolio, from nytimes.com to their mobile apps. He studied for his Master’s in the Studio 20 program at New York University’s Arthur L. Carter Journalism Institute, with a third of his coursework in the Interactive Telecommunications Program (ITP) at the Tisch School of the Arts. He received his bachelor’s in Media Anthropology from Wesleyan University. Dylan Greif is a graphic and product designer. He is the former Head of Design at Atavist, and has also designed at Etsy, Local Projects, Big Human, Barclays Capital, and Macmillan Publishers. 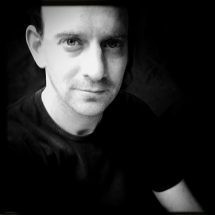 He received his MFA in design at RISD, he is founder of The Public Journal and the IM Readings series, and he has taught or lectured at RISD, SVA, AIGA/Parsons, UPenn, and Kutztown University. 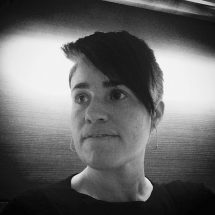 Katy Newton is a visual journalist who specializes in designing and developing cutting-edge, immersive, interactive projects. Her work has won top journalism awards and broken new ground in how media outlets can engage with communities. Shane Shifflett is a Data Reporter at The Wall Street Journal. He was previously at The Huffington Post, and has written for publications such as The New York Times, The San Francisco Chronicle, and The Bay Citizen. He is a former data engineer and reporter for The Center for Investigative Reporting, where he also built open source tools to help other journalists. Coulter Jones is a reporter for The Wall Street Journal, with a focus on investigative reporting and data analysis in news coverage. He has worked in similar roles at MedPage Today, New York Public Radio, The Center for Investigative Reporting, and newspapers in Pennsylvania. 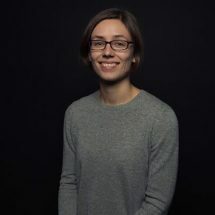 Aurelia Moser is a developer and curious cartographer building communities around code at CartoDB. Previously of Ushahidi and Internews Kenya, she’s been working in the open tech and non-profit journalism space for a few years, and recent projects have included mapping sensor data to support agricultural security and sustainable API ecosystems in the Global South. Benjamen Walker is a radio writer, producer, and host based in NYC. He has made radio for NPR, WBUR, WNYC, BBC (“Waiting in Line in America”) and WFMU (Too Much Information). In 2011, he made a series of philosophy podcasts for The Guardian (The Big Ideas). 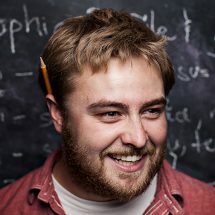 He is one of the co-founders of the Radiotopia network from the Public Radio Exchange, for which he produces and hosts Benjamen Walker’s Theory of Everything. 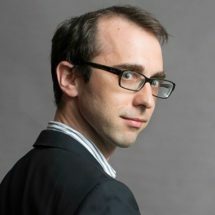 John Keefe is a journalist, tinkerer and coder who works at Quartz as a developer in the Quartz Bot Studio and product manager of Quartz's breakthrough apps. Keefe also teaches classes on bots and rapid prototyping at the CUNY Graduate School of Journalism and runs a tiny tinkering company called Really Good Smarts LLC. Before moving to Quartz, he was Senior Editor for Data News at public radio station WNYC, leading a team of journalists who specialize in data reporting, coding and design for visualizations and investigations. Keefe is the author of Family Projects for Smart Objects: Tabletop Projects That Respond to Your World from Maker Media, which grew from his effort to make something new every week for a year. Keefe has led classes and workshops at Columbia University and New York University. He was also an Innovator in Residence at West Virginia University's Reed College of Media. Keefe blogs at johnkeefe.net and tweets as @jkeefe. Lena Groeger is the News Applications Developer at ProPublica. Groeger previously worked at Scientific American, where she wrote about science and health. She also designed infographics and reported on technology and national security at Wired. 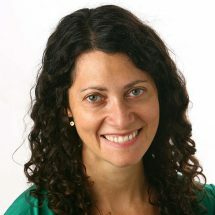 Emily Goligoski is User Experience Research Lead in The New York Times newsroom. She previously led research efforts at Mozilla Foundation and completed her Master’s in Learning, Design & Technology at Stanford. 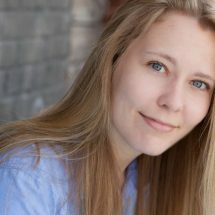 Emily reported for Chicago Public Radio (WBEZ) and studied journalism at Northwestern. 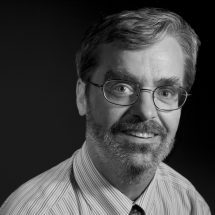 Peter Stevenson is the editorial consultant at The New Republic and has written for publications such as The New York Times, Conde Nast and The New York Observer. From 1994 to 2009, Stevenson was executive editor for The New York Observer and then went on to be features editor at Conde Nast Traveler. Sarah Montague is an award-winning veteran public radio producer and director of documentary, spoken word, and drama programs. She is also an arts and culture feature producer whose work has been heard on Morning Edition, On the Media, Only a Game, and Studio 360, among other venues, and is also a published critic and essayist. At The New School, she co-founded the Internet radio station newschoolradio.org, for which she is a faculty advisor, and teaches courses in audio drama and fiction, media production and journalism as a part-time assistant professor. Sarah Kramer is an Emmy and Peabody Award-winning journalist and documentary filmmaker. She was the founding senior producer of NPR’s StoryCorps, as well as a reporter and producer at the New York Times, and is an alumna of HBO and PBS documentaries. Her writing, radio and documentary work have appeared on Morning Edition, All Things Considered, The New York Times, Time, HBO, and PBS. She is currently working on a series of short documentaries for Time and recently completed a personal documentary called “Period. New Paragraph.” She has been an adjunct professor at the CUNY Graduate School of Journalism. 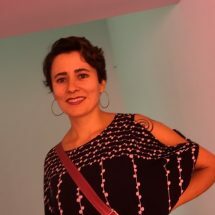 Gisele Regatao is a multimedia journalist who has reported and edited stories for public radio, online and print publications around the world. She worked at WNYC for ten years in three roles: executive producer of Soundcheck, executive producer of news, and senior culture editor. Before that, she was the managing producer at KCRW in Los Angeles. Originally from Brazil, Gisele has a Master's degree in Business Journalism from Baruch College and a Bachelor's in Journalism from Universidade de Sao Paulo. She also teaches at Brooklyn College and Baruch College. Tyler J. Kelley teaches printmaking at Parsons The New School for Design. He is also a freelance journalist who has written offbeat feature stories for the Wall Street Journal, The Christian Science Monitor, The New Yorker, Gothamist and Quartz. His feature length documentary film, “Following Seas,” is in post-production. 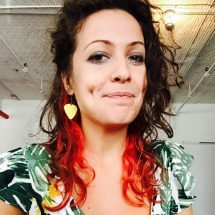 Sarah Ryley is the data projects editor and an investigative reporter for the New York Daily News, where she leads teams of reporters, programmers and visual journalists in creating multimedia projects. Her recent work in “Broken Windows”, on officer misconduct and racial disparities in policing, has spurred multiple government investigations and reforms, and she has been the recipient of numerous awards. She also managed coverage of the city’s state and federal courts at the News. 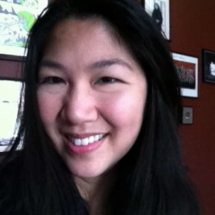 Joanna S. Kao is a data visualization journalist at the Financial Times. She was previously a multimedia reporter and interactive developer at Al Jazeera America. She also creates immersive longform and audio story templates for the newsroom, studies accessibility and explores theater-related data in her spare time. 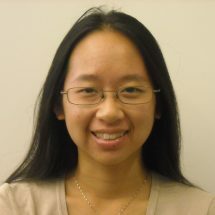 She has a Bachelor’s degree in computer science from the Massachusetts Institute of Technology and enjoys living at the intersection of computer science, design and journalism. Larry Buchanan reports and makes maps, charts, diagrams and other things that don’t necessarily fall into just one of those categories for The New York Times. Before that he worked as a freelancer for The New Yorker, The Onion, ESPN, and others. He graduated from Indiana University, and in 2014, he was named a Young Gun by the Art Directors Club. Alexandra is a developer at Contently with an interest in building web-based tools that help journalists create captivating narratives. After graduating from The New School in 2014, she joined the first batch of Opportunity Fund Fellows for General Assembly’s Web Development Immersive program. As a fellow, she volunteers as a mentor with CoderDojo, a programming club devoted to helping youth explore technology. 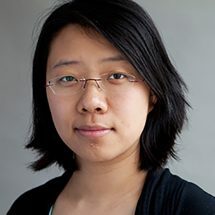 Sisi Wei is an investigative journalist, designer and developer at ProPublica, where she builds interactive stories that serve the public interest. 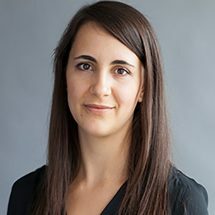 She has won numerous Malofiej, SND Digital and ONA awards, the Gannett Award for Innovation in Watchdog Journalism, and the 2016 Data Journalism Award for Best Individual Portfolio. She has served as an adjunct professor at New York University and CUNY, and she is also the co-founder of Code With Me. Sisi previously worked at The Washington Post, The Wall Street Journal and the Associated Press. 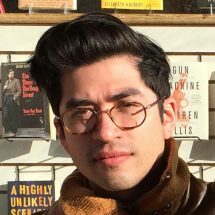 Alvin Chang is a graphics reporter at Vox. You might know him as the guy who tells wonky policy stories with blocky cartoons and charts. He's also worked at Boston Globe, ESPN, and The Connecticut Mirror. Nina Ong is a multi-disciplinary designer, passionate about working at the intersection of design, storytelling, technology and the public good. 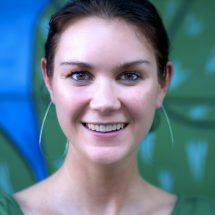 She is the director of user experience at Food Network, creating digital products and processes for emerging platforms. 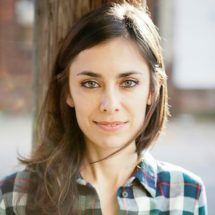 Previously, Nina designed digital K-8 classroom products, built mission-critical systems for the City of New York and Mayor’s Office, developed content for a children’s television show on PBS/Thirteen, defined mathematical models for Wall Street, and trained to be a flying trapeze instructor. 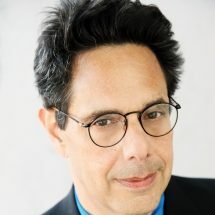 Philip Dray is the author of seven works of history, including At the Hands of Persons Unknown: The Lynching of Black America (Random House, 2002), which won the Robert F.Kennedy Book Award and was a Finalist for the Pulitzer Prize. He also wrote There is Power in a Union: The Epic Story of Labor in America (2010), an NPR "Book of the Year." He is a Fellow of the New York Institute for the Humanities at NYU and lives in Brooklyn. 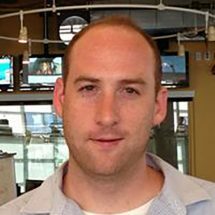 Mike Puretz manages video post-production at The New York Times. Previously he led a video post-publishing team at AOL/The Huffington Post in Los Angeles, and he has also worked in independent music production. Mike received his BA in Electronic Media from The George Washington University in 2001. 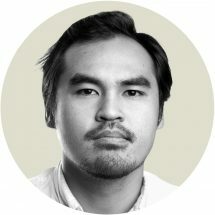 Quoctrung Bui currently writes and makes graphics for The New York Times. Before that he wrote, made charts, and dabbled in public radio for NPR's Planet Money. Carmel Lobello is a deputy editor for digital at The Wall Street Journal, where she edits for the What's News app. Previously she consulted for WSJ's Snapchat channel, and several other digital journalism products for MarketWatch and WSJ. Before that she was the business editor at TheWeek.com. She received her B.A. in Writing, Literature and Publishing from Emerson College. 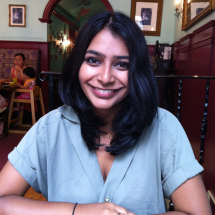 Anila Alexander is a web developer and journalist living in NYC. She graduated from New York University with a Bachelor's degree in Journalism and Politics. Terry Golway has been a journalist for more than forty years. He holds a Ph.D. in U.S. history from Rutgers University and is the author of more than a dozen books. He was a columnist for the New York Times and later joined its editorial board. He is currently a senior editor at POLITICO States, where helps to coordinate coverage of state and regional politics. He has taught at Kean University and New York University. His most recent book is "Machine Made: Tammany Hall and the Creation of Modern American Politics” (Liveright / W.W. Norton, 2013). 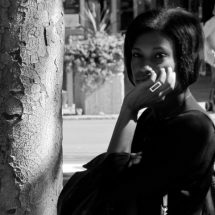 Kendall Taggart is reporter on the investigations team at BuzzFeed News, specializing in data-driven stories. Previously, she was a reporter at The Center for Investigative Reporting. She's worked on projects about bad charities, dangerous pesticides, and judges who break the law. 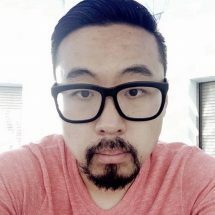 Jason Das has worked as a web designer and/or developer for many publications including The Atlantic, The Nation, n+1, Narratively, Guernica, National Geographic, and Teen Vogue. For many years, he was a regular stringer for ProPublica on News Applications, design, and engagement projects. He was design consultant for two Knight Foundation-backed tools for journalists: Tabula and Dataproofer. He acted as coach/mentor for a student-led relaunch of the Yale Daily News website. He is a founding board member of Urban Sketchers, an international nonprofit dedicated to raising the artistic, storytelling and educational value of location drawing. He is also an interdisciplinary artist and performer, and teaches drawing, painting, and comics/visual narrative.